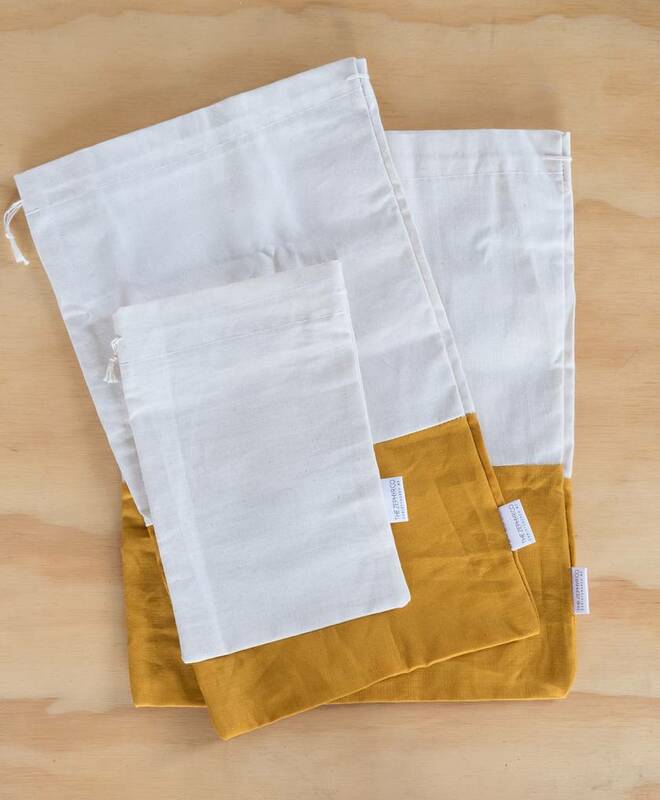 In beautiful linen & unbleached cotton, we've got the perfect set of bags for you to take along with you to the store & stock up on anything from flour, rice & grains, to apples and oranges without plastic bags. 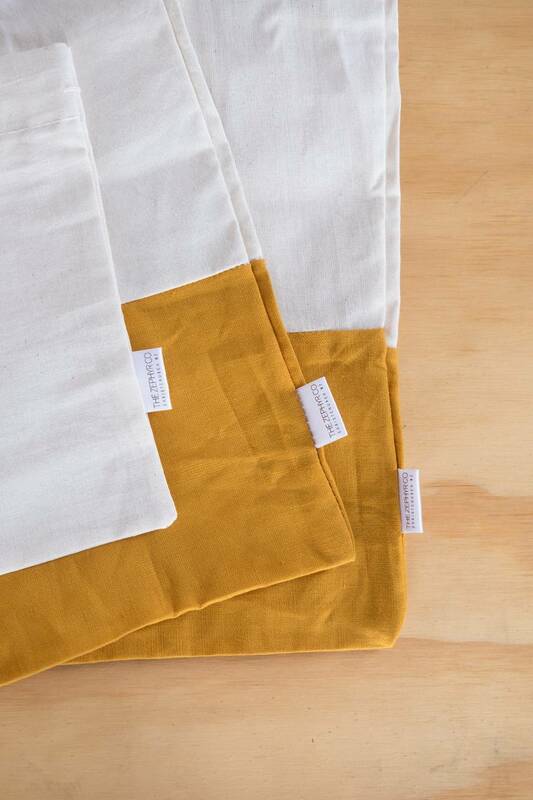 Each set of 3 includes a small, medium & large. 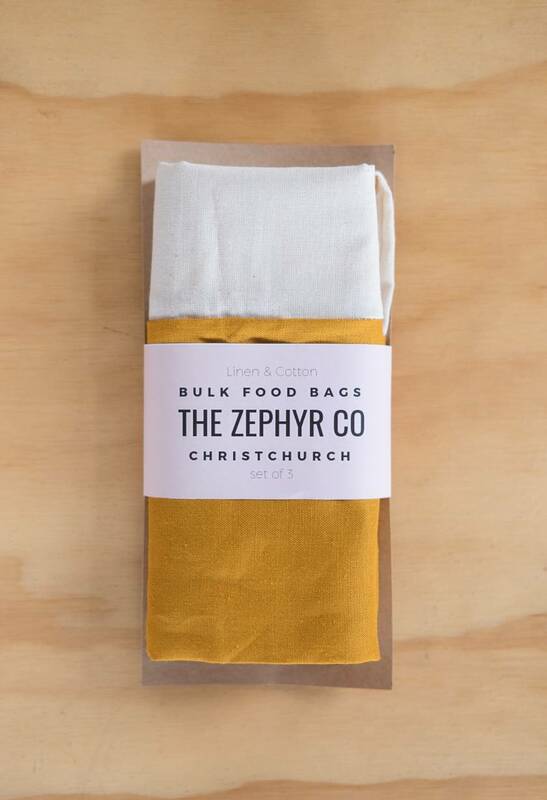 Contact thezephyrco to enquire about payment or shipping options.